How well did this music play? The build to WrestleMania 34 accelerated in March, though there is much to be desired. While we saw great wrestling on 205 Live and NXT, as usual, Raw and SmackDown didn't present their best in March. With April here and WrestleMania approaching, hopefully, that will turn around. Regardless, March did have a few gems, and here they are. The most enjoyable match of the Mixed Match Challenge so far (probably because it featured the two most entertaining teams), this contest pitted all the attributes of its contestants together to create a very entertaining show. 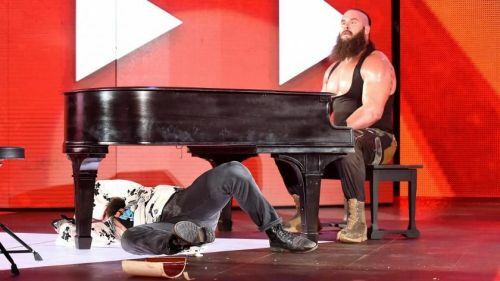 All four showed wonderful character work in the match and while not everyone was happy with the ending, Miz and Strowman pulled their stunt off like pros. Sportskeeda's WrestleMania 35 Superstar stock market - who to buy? Who to sell?